Pavan 817/RS1 Sintesi plastic base trowel with thin and very flexible blade. 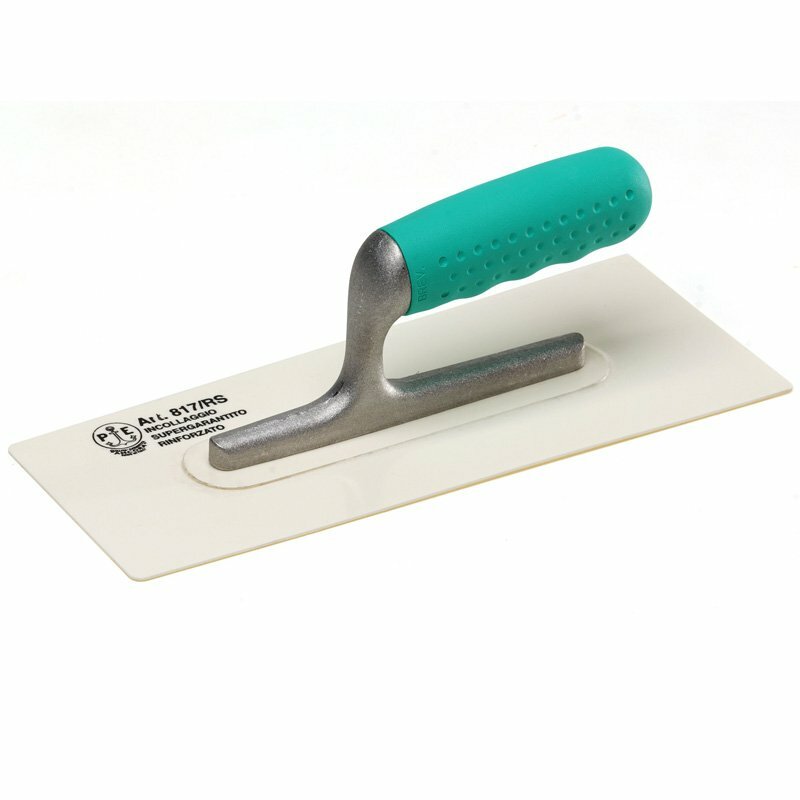 The Pavan 817/RS1 Plastic Trowel uses Sintesi model coating of the handles for a soft and vibration resistant material. The ergonomic design gives a very comfortable grip. Flexibility and toughness are guaranteed by Pavan under all working condition. The only Italian manufacturer which designs and produces all the components of a wide range of building tools, including trowels, scrapers, brushes, and knives.